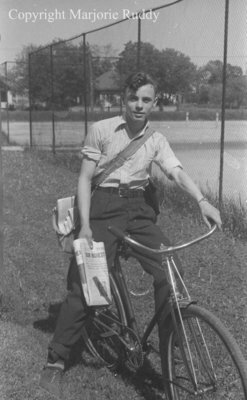 A black and white negative of Ralph McCarl sitting on his bicycle and holding a Toronto Star in his hand. He has his paper bag over his shoulder. Ralph McCarl, May 1939, Marjorie Ruddy. Whitby Archives A2013_040_929D.